Keeping in mind that the requirements of wireless IoT are: low-power, low-cost, medium range (local to metro area), and moderate data rate, it is reasonable to assume that the frequency of operation should be between 100 MHz and 5.8 GHz. Lower frequencies would not allow for sufficient data rate due to limited contiguous spectrum availability, while higher frequencies would have a very short range. The frequency bands in this range between 100 MHz and 5.8 GHz can be sorted in four groups. Licensed bands: cellular networks bands, granted to network operators for deploying specific cellular technologies 2G / 3G / 4G. There are 14 frequency bands defined for GSM (3GPP TS 45.005), 26 for WCDMA (3GPP TS 25.101), and 44 for LTE (3GPP TS36.101) . North America and Canada are using GSM 850 and PCS 1900, with PCS 1900 primarily used in urban areas and GSM 850 in rural areas for better coverage. In Africa, Europe, the Middle East, and Asia, most providers use GSM 900 and DCS 1800, GSM 900 is the most common. South America is mixed, for instance GSM 850, GSM 900, DCS 1800, and PCS 1900 are all present in Brazil. Bands 1 and 8 allow roaming in ITU Regions 1 and 3, and some countries of region 2. Bands 2 and 4 allow roaming in ITU Region 2 only. LTE has seen a proliferation of frequency bands, and provision for global roaming would require support for bands 1 (2100 MHz), 2 (1900 MHz), 3 (1800 MHz), 4 (AWS), 5 (850 MHz), 7 (2600 MHz), 8 (900 MHz), 13 (700c MHz), 17 (700b MHz), 18 (800 MHz), 19 (800 MHz), 20 (800 DD), 25 (1900 MHz), 26 (800 MHz), 28 (700 APT MHz), 29 (700 de MHz), 38 (TD 2600), 39 (TD 1900), 40 (TD 2300), and 41 (TD 2500). When 2G allows global roaming with a quad-band device, 4G requires a 20-band, or icosa-band device. Licensed bands with exceptions: the most common is known as TV whitespaces, already regulated in Europe and the US, to allow for the usage of frequencies granted for TV broadcasters, but not used in other application areas. Forbidden bands: aeronautical, maritime, military, etc. From the perspective of power efficiency, the lower operating frequency that is used the better. For instance, as pointed out in , the laws of physics imply the path loss at 2.4 GHz is 8.5 dB worse than at 900 MHz (Friis Transmission Equation), which translates into a 2.67x range improvement for the same transmit power. Electronic circuits also lose efficiency at higher frequencies. Therefore, 2.4 GHz transceivers would always consume more than 433 MHz or 900 MHz transceivers for the same performance / transmit power. In practice, lower frequencies are yet constraining in that the required antenna size for best performance gets large: 17.3 cm for 433 MHz compared to 3 cm for 2.4 GHz. In addition, the usable frequency bands are usually narrow and duty-cycle-limited and may not allow for sufficient data throughput. TV whitespaces are interesting as well; however, the regulatory framework is complex, with potentially very dynamic frequency allocation and the need to rely on a central entity regulating the allowed channels in real-time. It is considered that the license-free Industrial, Scientific, Medical (ISM), and Short Range Devices (SRD) sub-GHz frequency bands (just below 1 GHz) are potentially the best for IoT applications. There has been and there still is a significant harmonization effort across all countries to enable these IoT applications, even though supporting 868 MHz (Europe), 915 MHz (USA), and 920 MHz (Japan) frequency bands already allow for a very wide coverage. Europe has opened the 863-870 MHz band and Japan has recently switched from 950 MHz to 920 MHz with relaxed constraints and higher allowable transmit power of 20 mW instead of 1 mW previously. This allows for good coverage and high data rates. The regulatory framework for these license-free sub-GHz frequency bands is often deemed stringent and restrictive. This is actually not really the case, provided that the protocol is smart enough to implement interference-avoidance algorithms. If the RF application correctly implements the algorithms, there are actually very limited constraints. In addition, these constraints work both ways as they guarantee less interference from other devices that are operating on the same frequencies. 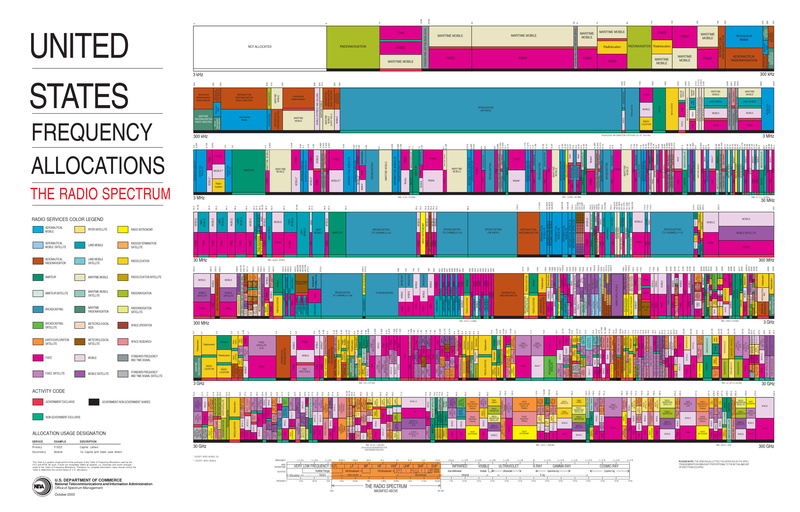 Today there are many frequency bands around 1 GHz licensed for cellular deployments. However, with the IoT market growing, one could reasonably expect that some operators would want to re-allocate their expensive spectrum for the IoT, much like they have started doing for M2M. In short, it is suggested that the license-free sub-GHz frequency bands to be the most promising for IoT applications, however, provisions for operation in current sub-GHz cellular bands have to be made.